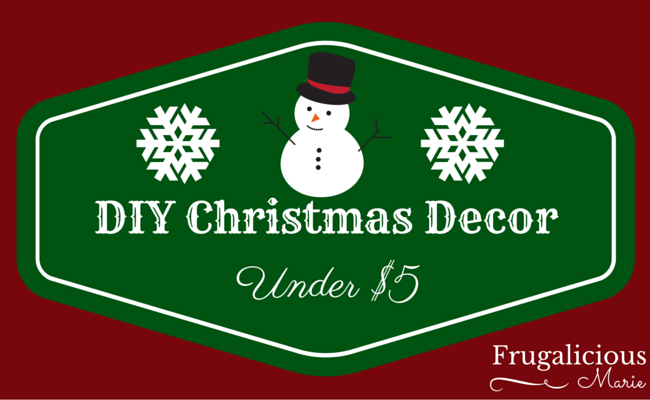 DIY Christmas Decor For Under $5! A few weeks ago - September to be exact, I was at Family Dollar and saw these candy canes. They were only $1.00 and are pretty big in size. The deco mesh I got at AC Moore for only $2.88 - I used a coupon. And the little bit of green garland you see here was cut from decorations I had left over from last year. Find the center and mark it with a marker. Get your glue gun and glue the two candy canes together in the form of an X. Hold it down for a minute or two. 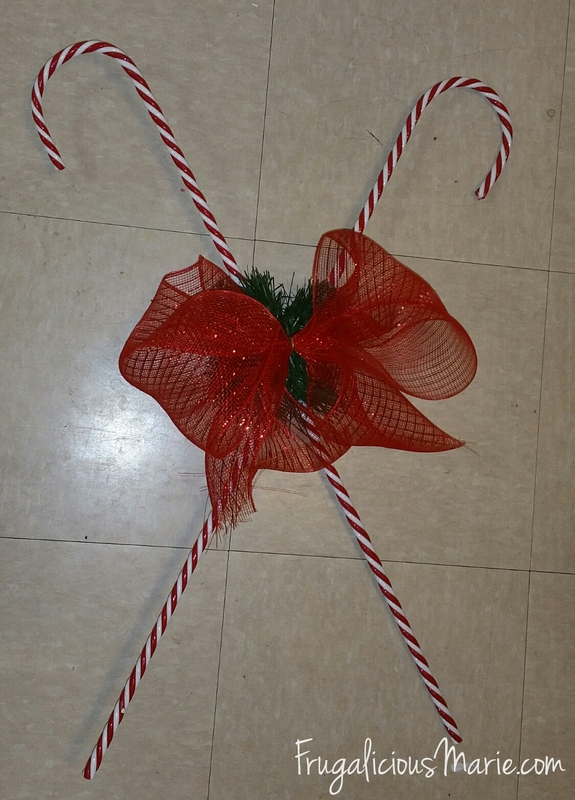 To secure the candy canes, grab the floral wire and wrap it around the candy canes to secure the canes in place. Next you want to grab the garland and tie it around the candy canes. Grab more floral wire to secure the garland in place. Grab your deco mesh and make a bow. You could make your bow differently from mine. Get creative with it. Grab some more floral wire and just attach the bow. You should have a beautiful Christmas decoration for the outside of your home! I live next to a big river which floods when it rains so my house is on sort of on stilts. You see my house is on the side of a hill and we have an open garage under our home and a storage closet. I placed my Christmas Candy cane decor on the outside of my home. Please disregard my lights, 1 was out so the entire string of lights was not working. I'm still working on it after 62474 hours. 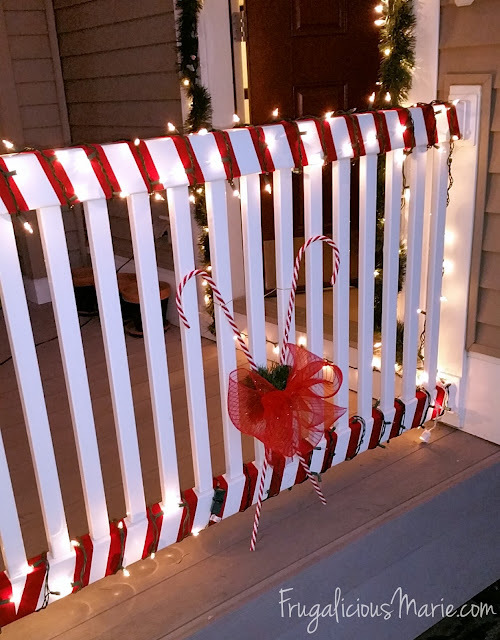 Have you made some frugal holiday decor? Comment below and let me know!